Three weak cases, one decent, and a lackluster finale make Sherlock Holmes: The Devil's Daughter a marked step back from its predecessor. Start jotting down notes, Watson, because we have a dreadful case today—one so nefarious and twisted so as to bring all the world to its knees. The players? Frogwares, Focus Home Interactive, and Bigben Interactive. And us, of course. The question? What the hell happened between 2014’s Sherlock Holmes: Crimes and Punishments and 2016’s The Devil’s Daughter. I don’t quite have the answers, but I can say this: It wasn’t anything good. 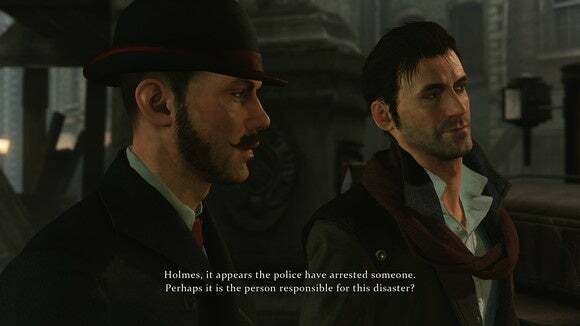 Frogwares’s Sherlock Holmes games have been on an upwards trajectory for so long, I honestly didn’t expect them to slip. 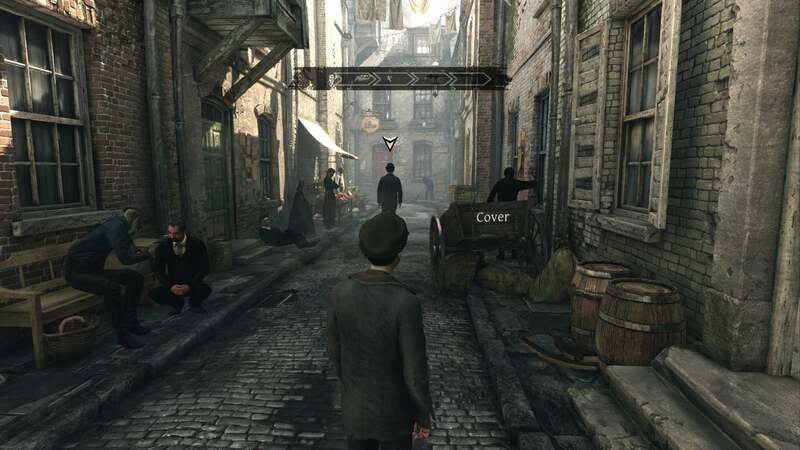 Reviewing Crimes and Punishments two years ago, I was prompted to say the games had gone from guilty pleasure to “legitimately good.” That's quite a compliment for a series that started with what was essentially bad Holmes fanfiction. And on the surface, The Devil’s Daughter seems in line with Crimes and Punishments. 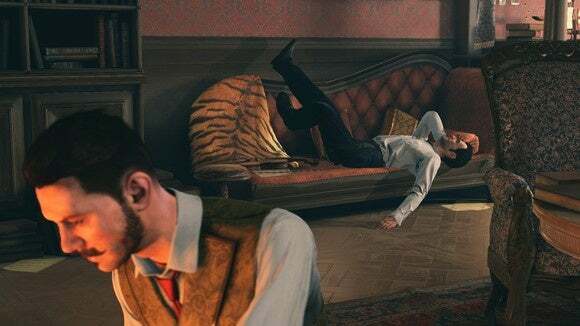 Many of that game’s standout features return, including the ability to either condemn or absolve a suspect unilaterally or apprehend the wrong suspect. That system marked a massive improvement over 2012’s Testament of Sherlock Holmes, and I expected The Devil’s Daughter to keep building off it. Nope! Instead we get a carbon-copy clone of Crimes and Punishments, at least as far as the actual detective side of the equation. Once again you’ll hunt for clues, tie them together into leads in a separate menu, and then come to a conclusion. Which would be fine, honestly—I’d play what's essentially more Crimes and Punishments—except the rest of the game is a chore. 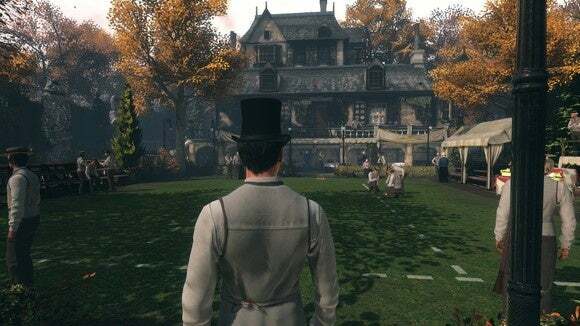 Frogwares has long padded its Sherlock Holmes titles with ill-advised action sequences, usually heavy on button-matching QTEs and other design cues lifted from ten-years past. Some are so-bad-it’s-good (playing as Holmes’s dog in Testament) while others are plain bad (pretty much everything else). It reaches a peak in The Devil’s Daughter. A solid 50 percent of this eight-hour game involves Holmes and occasionally Watson futzing through QTEs in order to forge a knife, revive an unconscious man, win a bar fight, or some other drudgery. I’m not necessarily opposed to a younger and livelier Holmes, but that’s not what we get here. The Devil’s Daughter plays like a painful knock-off of third-person action games you actually enjoy. They’ve even implemented a poor man’s imitation of those horrid “Follow X” missions from Assassin’s Creed, complete with big “COVER” markers written on odds and ends scattered in the street. Everything goes on twice as long as it should, and it’s ironic that the “action” sequences end up feeling like the most boring part of the entire game. Struggling through means fighting against the game’s floaty and finnicky controls, though kudos to Frogwares: You can skip any action section you’d like. Of course, when they make up fully half of an already-short game, you’re bound to feel cheated if you skip too many. Still, I’d probably be willing to put up with even this level of tedium provided the cases were solid. As I said, this isn’t Frogwares’s first experiment with elevating Sherlock Holmes above its point-and-click roots. It’s egregious here, but I was willing to see the game through to the end. It’s barely worth it, though. The Devil’s Daughter includes five cases on paper, but one of those is the equivalent of a TV show bottle episode (limited locales and few characters) and another (the finale) is a short sequence that might as well be on rails. Moreover, the best of the cases is on par with the weakest in Crimes and Punishments, and there’s a particularly-embarrassing and illogical foray into a Mayan temple—seriously—at one point that has about as much grounding in classic Holmes as Apocalypto. Positives? 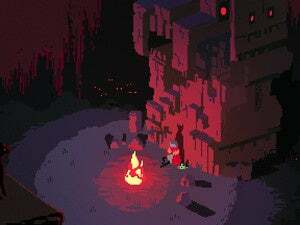 Well, The Devil’s Daughter is a better-looking game than its predecessor, with larger environs to explore. The trade-off though is that we’re stuck with redesigned-Holmes and Watson, both looking inexplicably twenty years younger than in Crimes and Punishments and seeming as if they fell out the pages of American Apparel’s 2016 catalog—complete with anachronistic undercut hairstyles. Farewell, Dad-Holmes. I’ll remember you fondly. Sherlock Holmes: The Devil’s Daughter is a hard left over Reichenbach Falls. It’s Frogwares taking all the wrong lessons from Crimes and Punishments, turning out its least-coherent Sherlock games in ages and filling it with all sorts of mechanical drudgery. Such a shame. Which brings us back to the main players in this saga: Focus and Bigben—the first being the former publisher for the series, the latter being new as of The Devil’s Daughter. Does that have something to do with this game’s (lack of) quality? Were there money issues perhaps? Or time constraints? I’ve no idea, but whatever the issue: I hope it’s resolved next time around. 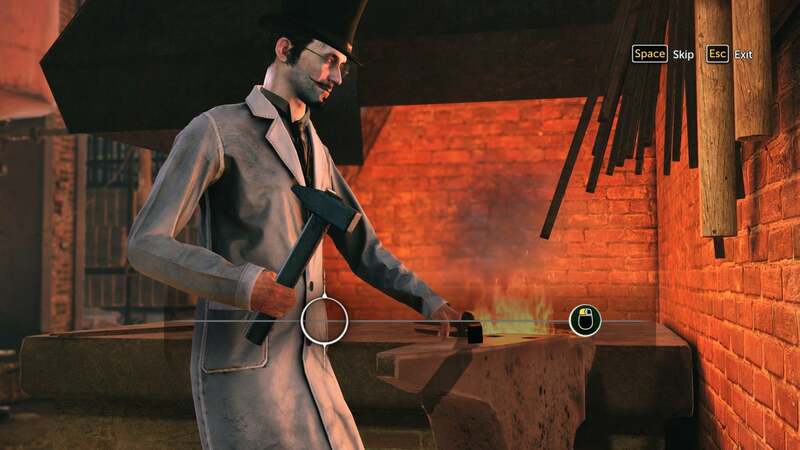 Frogwares was onto something special with Crimes and Punishments. I’d hate for that to be the permanent high-water mark.